This is my version of a necklace, a lace that goes around your neck. 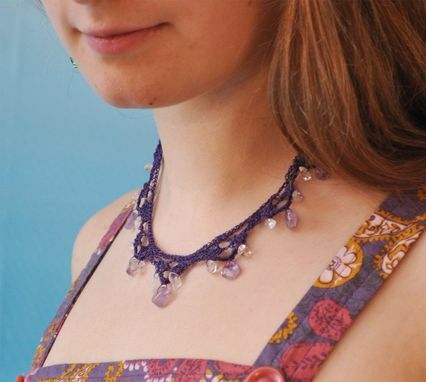 Amethyst and clear quartz beads decorate the border of this necklace. I crocheted it using purple nylon beading thread, which makes it durable. It also gives the necklace a rippled look. The lightness of the thread and the weight of the beads make a nice contrast when you wear it. It is clasped in the back using a purple glass bead and a series of five loops, to make it adjustable. 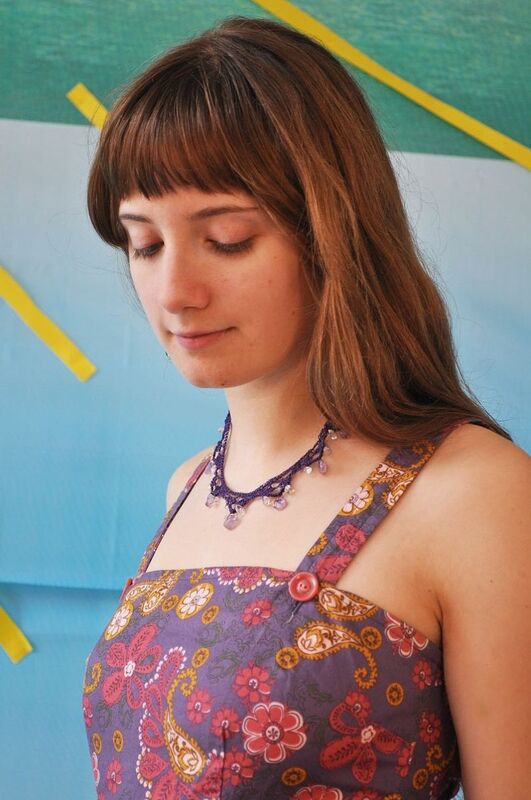 All of the materials in this necklace are upcycled. The stones came from broken jewelry and I found the nylon thread in a free pile. The necklace is pictured with the purple rings crocheted cuff bracelet.